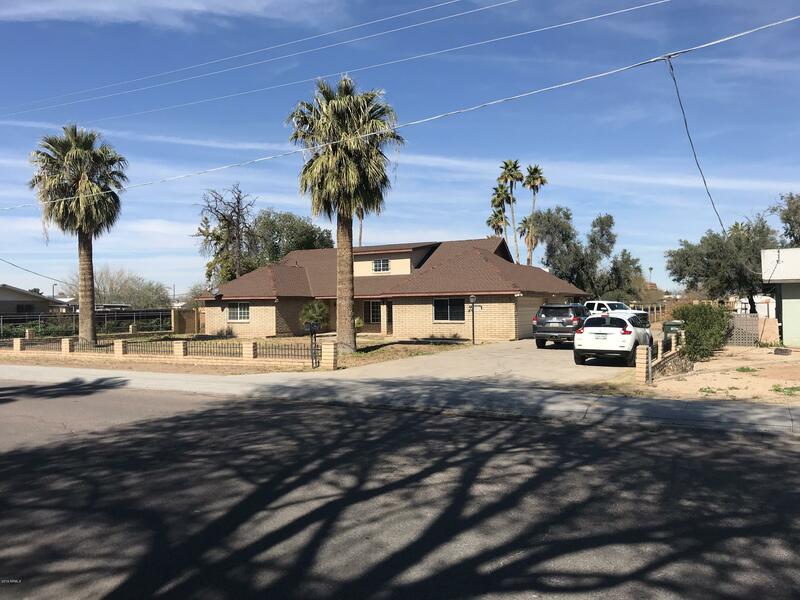 All Unknown homes currently listed for sale in Buckeye as of 04/19/2019 are shown below. You can change the search criteria at any time by pressing the 'Change Search' button below. "Originally built by Nance in 2000, updated and remodeled by Nance in 2018, understated elegance flows throughout this thoughtfully designed, solid block home. Follow the circular drive to the charming entry & immediately feel welcomed into the gracious interior filled w/ soft natural light. High quality interior finishes include hand-plastered walls & moldings, custom cabinetry, oak floors & lovely windows/doors that beautifully frame the relaxing outdoor views in every room. 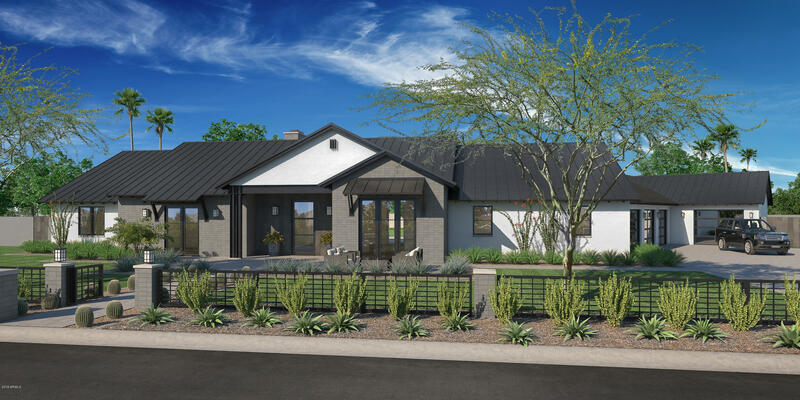 The new kitchen inc"
"This gorgeous and secluded home located in the Pinnacle Peak neighborhood features 5775 sqft, over 2 acres of land, and an epoxy garage. Built in 2008, the single level property includes a gourmet kitchen that will wow any home chef, as well as a stunning media room to entertain kids and guests for hours. When family comes to visit your new dream home, they will appreciate the spacious guest suite and revel in the exotic pool. Come see this wonder today!" 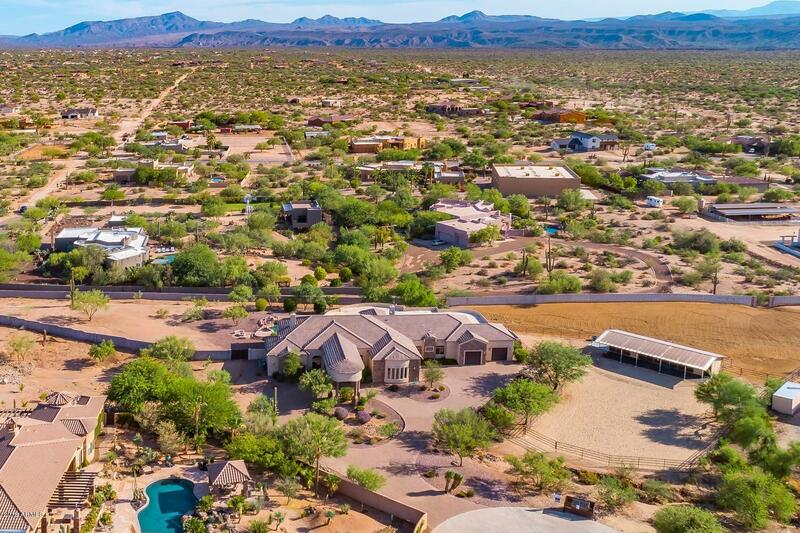 "This exquisite sprawling 2.39 acre estate is completely walled and located in a private community of only 5 homes and directly off a paved road. Interior features include Chef's kitchen with professional appliances, vaulted ceilings and theater room. Outside is equipped with a barn, arena, horse stalls and everything you will need. You can take the horses directly from your home and enjoy all that the Tonto National Forest has to offer." "Almost 2,000 sq ft home on 2.557 acres with new tile, counter tops, paint inside & out, dual A/C units with heat pumps. New carpets in bedrooms, beautiful cabinets throughout with tons of storage.. Large inside laundry area with sink and 1/2 bathroom. 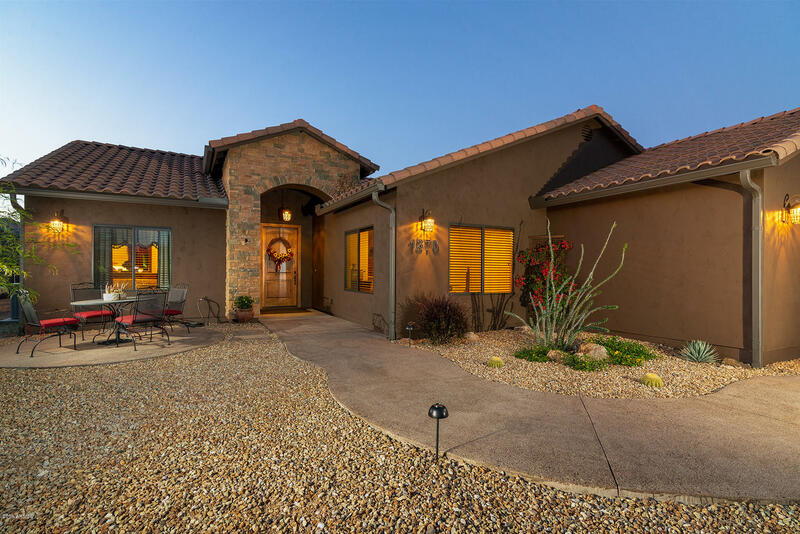 Formal dining room,.Large MBR w/dual sinks and French doors that open to a covered pvt patio great for morning coffee.Beautiful knotty Pine ceilings in LR and AZ room. Both bathrooms recently updated w/new showers. 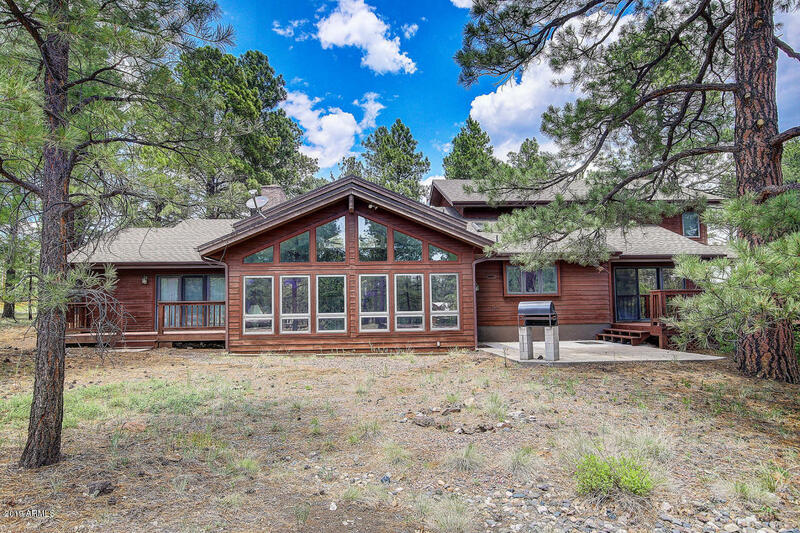 Four covered horse stalls w/light"
"Beautiful Mountain Luxury Home situated on 6.34 acres is loaded with granddaddy ponderosa pines. This home's location is peaceful, private and inconspicuous, but just minutes from the City of Flagstaff. This 5 bedroom 3 3/4 bath home is perfect for that large special family, as well designed for entertaining your favorite buddies. The huge kitchen the allows ample room around the granite kitchen island for preparing dinner with all your close friends. This home features a sunken family room with"
"Great location in quiet, tranquil neighborhood, yet close to main roads, shopping and schools. Custom home on 1.16 acre corner lot with N/S orientation. FRESHLY PAINTED interior. Exterior painted in 2016. 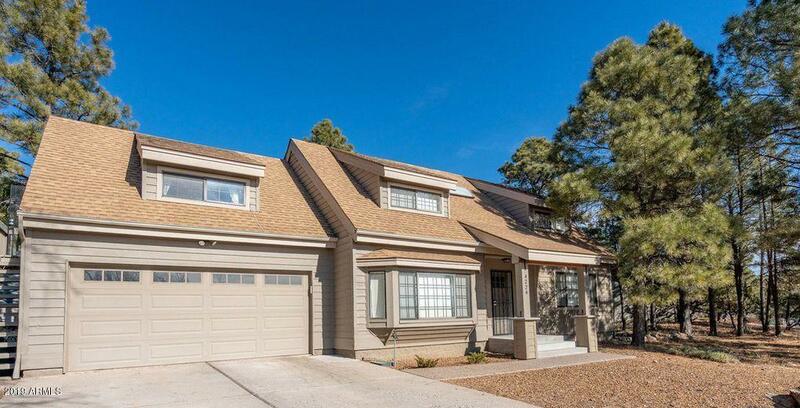 3 Generous sized Bedrooms, 3 Baths, large office with built-ins. Oversize 3 car garage with built in storage cabinets. Also heated/cooled bonus/storage/exercise room in garage. Heated/cooled separate workshop with 220 power. RV parking and hookup. Putting green. 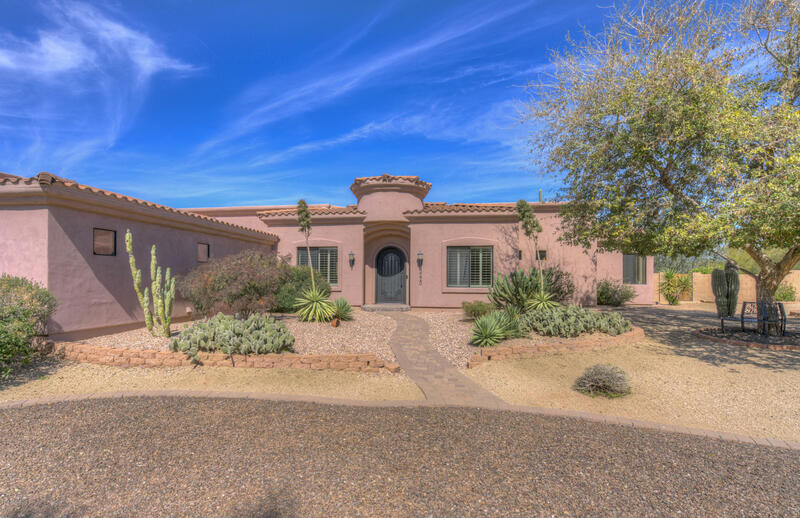 Sparkling pool w/shaded pergola "
"Beautiful custom home on a 1 acre lot. 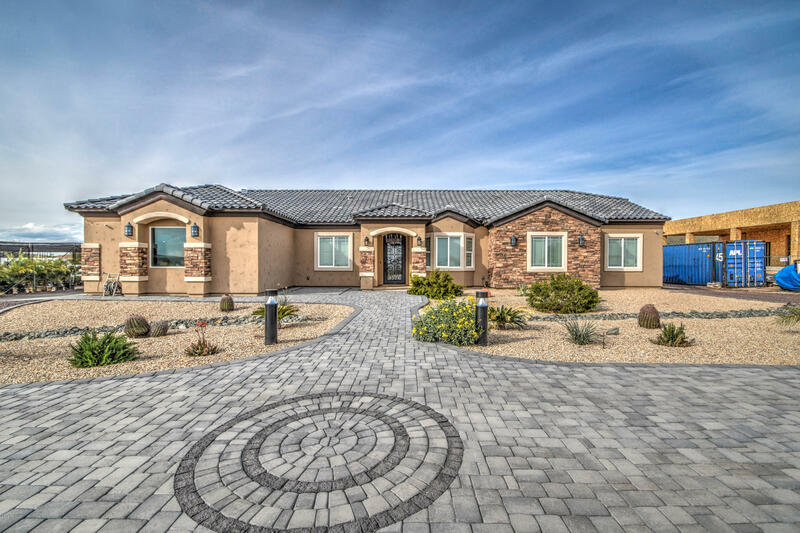 Front semi-circular paver entry with handmade iron front door, and exterior home stone accents. 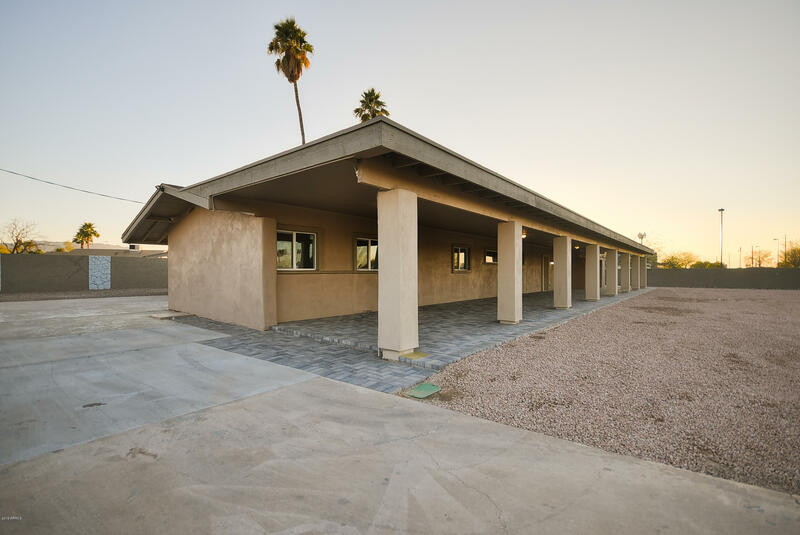 This home has a 3-car garage with epoxy floor and a separate RV garage and RV gate. It has 4 bedrooms plus an office, a den, and 3.5 bathrooms. Open floor plan with neutral paint, high ceilings, and travertine flooring in the kitchen and living room, and laminate and wood flooring in the rooms. 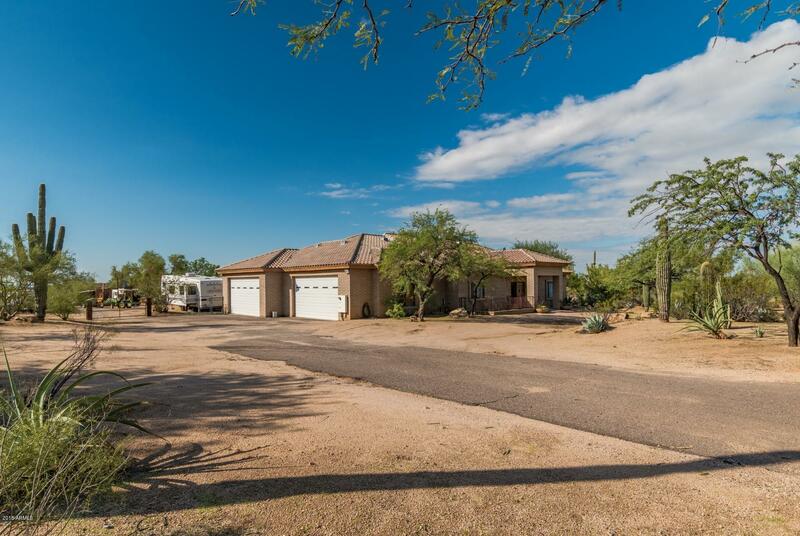 Large kitchen with lots of cabinets, granite countertops, backsplash,"
"This Scottsdale 3 bedroom + office custom horse property is situated on over 2 acres. It is an entertainers paradise that offers a spacious great room floorplan, split master is upstairs, and a gourmet kitchen. The fully finished basement features both secondary bedrooms, full bath w dual sinks, an office, slab granite wetbar w a fridge and slate flooring. The 800+ sq ft master bedroom is filled with natural light and offers his & her closets as well as a bathroom with dual sinks, jacuzzi tub an"
"Newly updated, spacious Amberwood home with an open floor plan, 2 large living areas, a 3 car garage, and a bonus room that can easily be transformed to bedroom suites, home theater, gym or yoga studio, art studio, office, guesthouse, or any combination that suits your lifestyle! On the main level, enjoy an updated kitchen with granite that opens to a family room with a fireplace, a living room with a beautifully tiled fireplace, and a sun room. There is an office that can be used as a bedroom. " 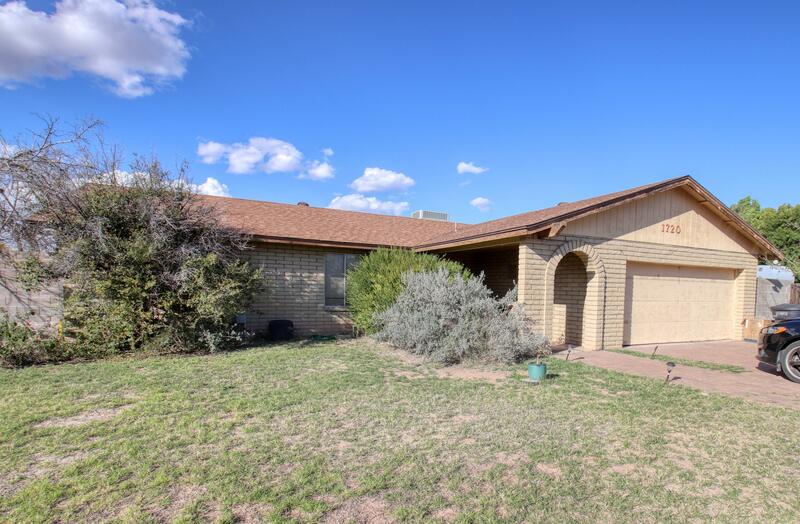 "5 bedroom 4 bath with casita. MInutes to Phoenix downtown and Phoenix Children's Hospital. Home, Business, or AirBnB. 9' ceilings + spectacular great room lead to kitchen w/ expansive peninsula under a snow white quartz countertop. French door refrigerator, gourmet 5 burner gas range. Master bedroom w/ en-suite. Double sink vanity and a timeless composition of white tones in quartz counter, tile surround & mosaic floor in a glistening walk-in shower. Private courtyard off master. Main house w/3 "
"Welcome to one of the only standalone properties in Pinnacle Pines! 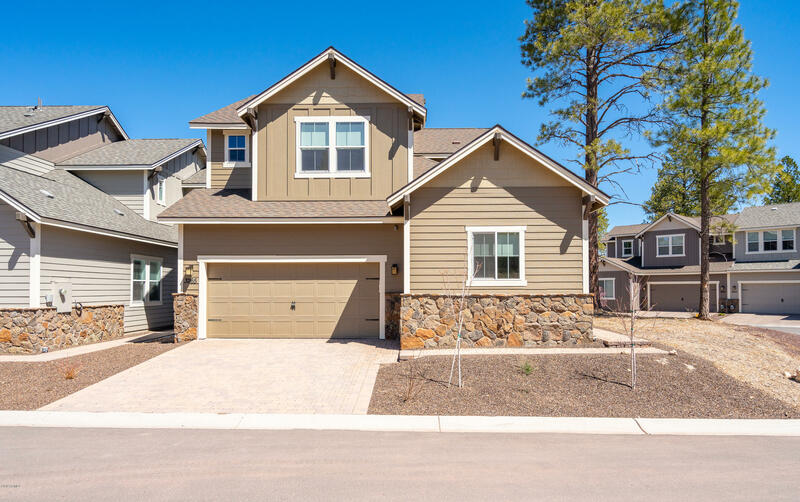 Finished in 2018, this home is absolutely spectacular from floor plan to finishes to its stunning mountain view. Enjoy the master suite on the main level, open great room with cozy fireplace, and two bedrooms and family room on the upper level. The contemporary finishes are well-designed and tasteful, creating a modern, bright, soothing feel. Every aspect of this home is upgraded including floors, counters, cabinets, appliances,"
"It is rare to find a truly immaculate, upgraded, move-in ready home with a fabulous floor plan on a gorgeous treed lot. This is it. This 2738 sf home is warm, open, inviting and give you great options. The kitchen is spacious & open to a dining area that can be used as dining/gathering space. The living room has natural light and a cozy fireplace. Use the large bedroom & bathroom on the main level as a master, guest master, or a second living/family area. The formal master on the upper level is "
"Welcome to this well-maintained, single level, four bedroom home on 2.25 acres. Are you looking for a home in a beautiful, rural setting with a workshop & storage shed, against a stunning backdrop of the mountains? This is it. 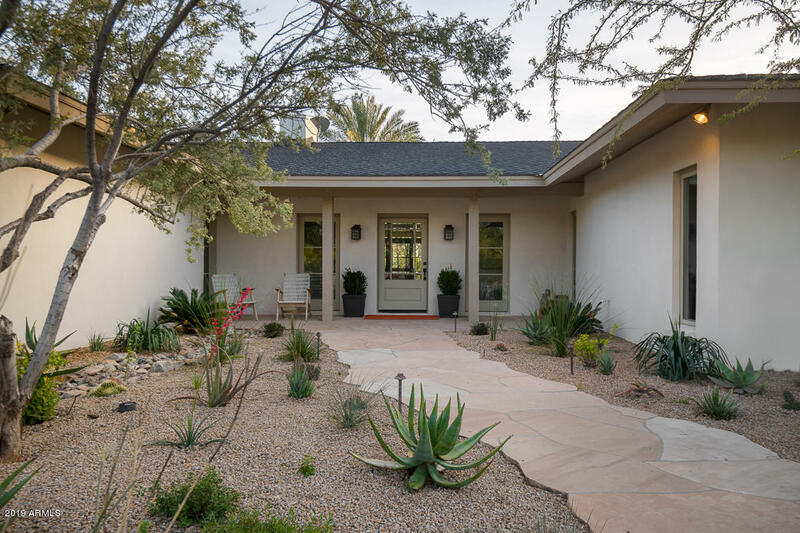 Cared for with love, this home has a fabulous floor plan and gorgeous, artfully landscaped outdoor space. Enjoy the spacious kitchen, living room with cozy fireplace, four bedrooms, including a large and private master suite, & den. The separate workshop is perfect for too"
"HUGE PRICE ADJUSTMENT! 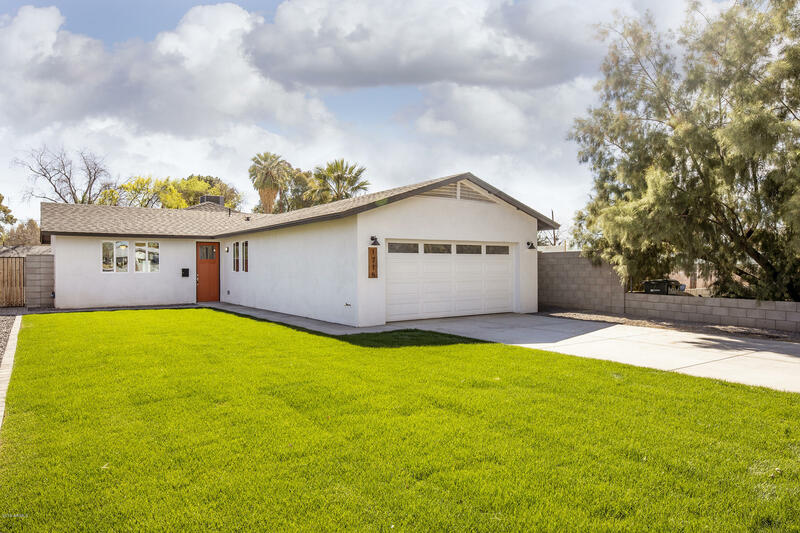 RARE JUST SHY OF AN ACREA LOT (41,382 SQUARE FOOT) WITH BLOCK HOME IS OFFERED AT $475,000. CITY LIVING WITH COUNTRY FEEL. LONG FRONT PORCH AREA PERFECT FOR ROCKING CHAIRS. CLOSE TO ASU WEST, FREEWAY, SHOPPING AND DINING. MASTER BEDROOM AND 3 ADDITIONAL ROOMS PLUS GARAGE HAS BEEN CONVERTED INTO LIVIABLE SPACE. EAT IN KITCHEN WITH LOTS OF CABINETS, GREAT ROOM WITH FIREPLACE. DON'T MISS OUT ON THE OPPORTUNITY TO OWN YOUR OWN COUNTRY ESTATE WITH CITY AMMENITIES. 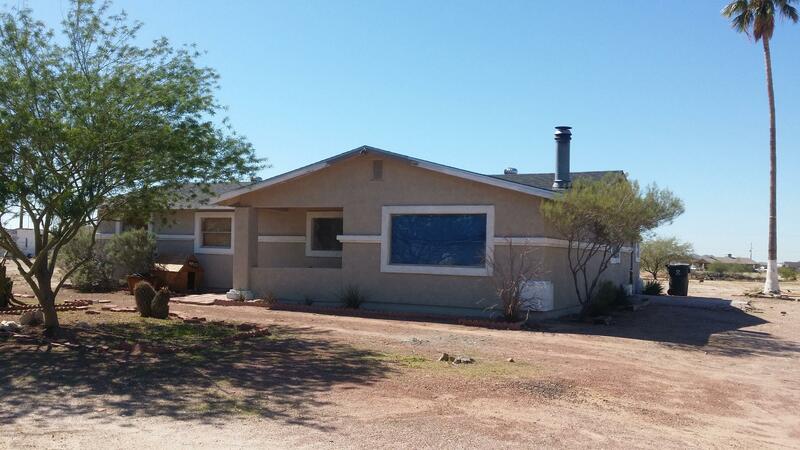 *NOTE,"
"An Amazing 42,761 sqft lot with a 3 Bedroom 2 Bath house (1,580 sq.ft.). Plenty of room to design landscape and buildings for storage of your outdoor toys. A Must See!" "Country Living in the City! 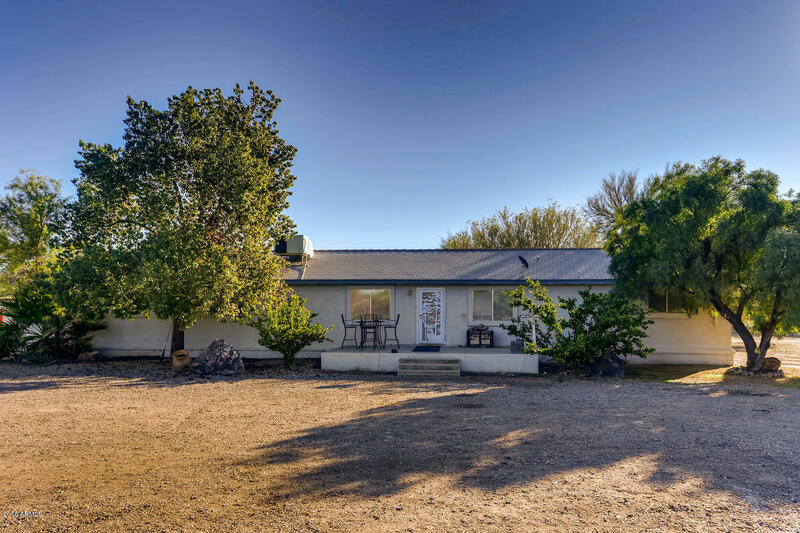 This 2 Acre N. Phoenix ranch with guest house has mountain views & plenty of Fruit trees . 1/4 mile away from Deem Hills Rec. area or CAP trail for riding. 20 min to West World,Scottsdale, West Gate Entertainment or Downtown Phoenix. Cowboy up & Call this Ranch Yours or bring your toys. 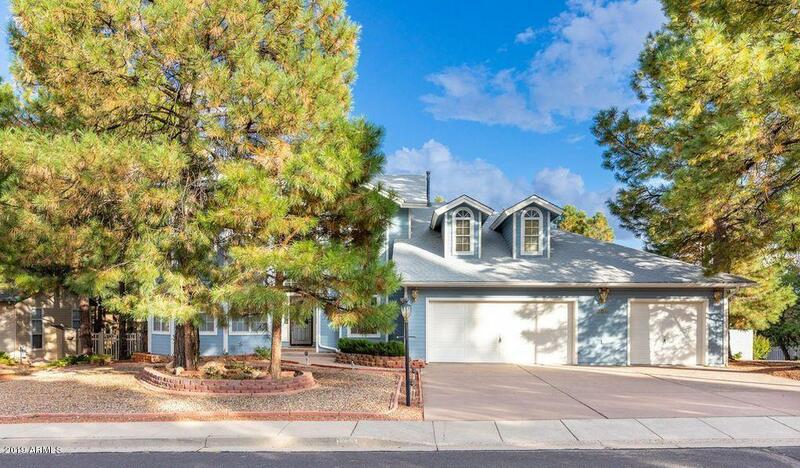 NO HOA"
"This is One Beautiful Remodel Home with so much to offer. The main house is 4 bedrooms and 2 bath with an attached 1 bedroom 1bath apartment with approx 700 sq ft.. This is a Must see. 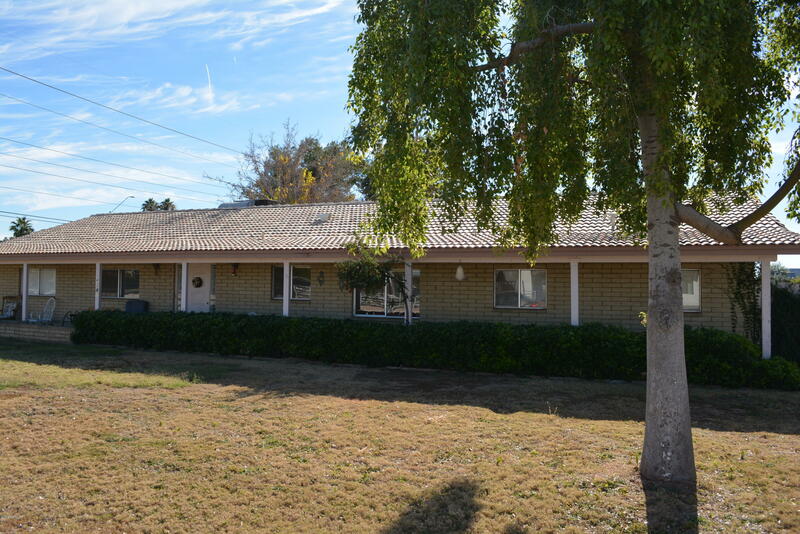 Approximately 3/4 arce lot with double entry RV Gate, Circular driveway, 10+ cars parking slab. plush green landscaping with sprinkler system. Front yard is gated and backyard and side block fence. New Pebble Tec Swimming pool (fenced). house and apt fully wood flooring, bedroom carpeting. New Kitchen in both,"
"Oasis in the desert! 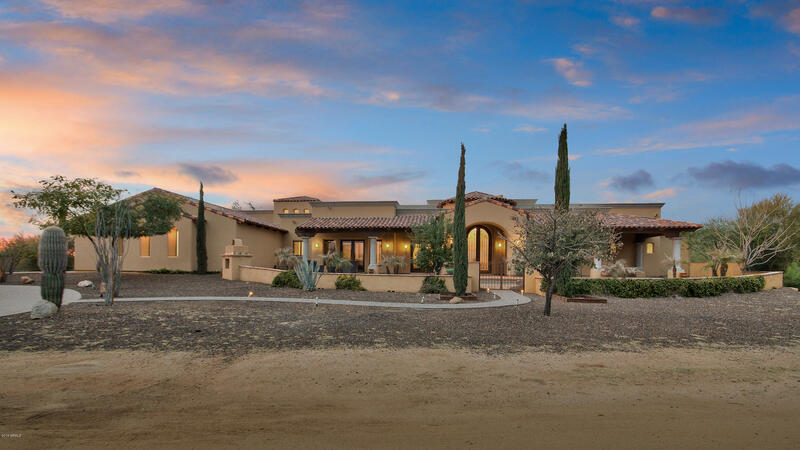 Enjoy breathtaking views of Arizona's beautiful desert in this gorgeous single level property situated on 1.2+ acres of fenced in property. Gourmet, spacious, eat-in kitchen equipped with walk-in pantry, granite counters, and upgraded appliances. Tile in all common areas. Surround sound in family room. Spacious laundry room with built-in cabinets. Master bath complete with his and her walk-in closets and separate walk-in shower and oversized tub. Fresh paint and wooden shu"
"One of the most unique and rare properties in Phoenix metro. Home sits on a very large lot. Bring your toys.Can be used for many purposes. Can have horses, cows and other animals. Home has new roof, new wood floors, new paint. new AC's Ideal for someone with many animals or run an animal rescue operation or home business. 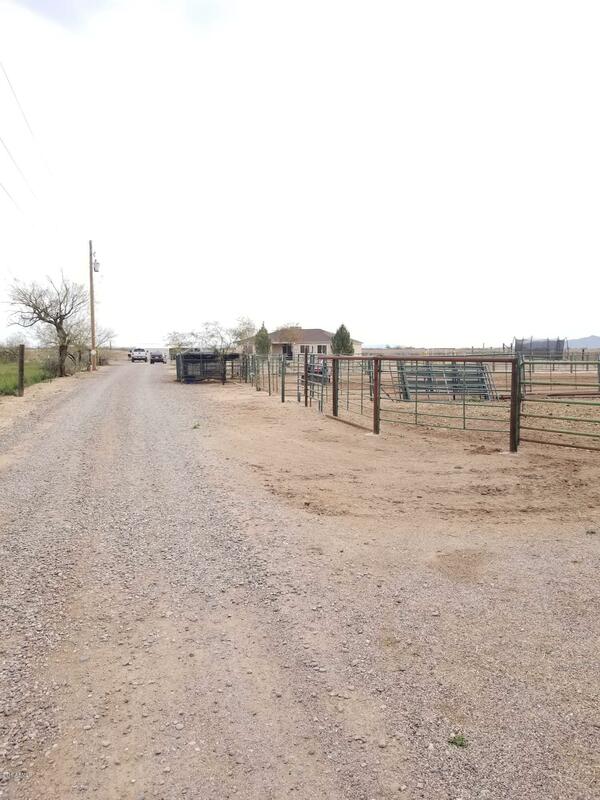 3 Acres in the back is also available to purchase as a separate transaction. Zoned R1-6 , can be subdivided into smaller lots." "Incredible opportunity! Newer home on over 2 acres available. This property has tons of potential! 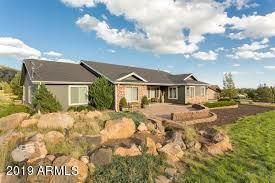 You will enjoy mountain views and the quiet rural lifestyle with tons of amenities not too far away. When you walk in it immediately will feel like home! A nice large great room that opens up to the kitchen. This split floor plan offers spacious rooms. The laudry room is oversized and can be combined as an over flow pantry. A softwater system that will stay. The AC unit is only 2 years old and sti"
"OKAY BACK ON THE MARKET AND READY TO SELL THIS HORSE PROPERTY .WITH NO HOA ON NEARLY 5 ACRES . 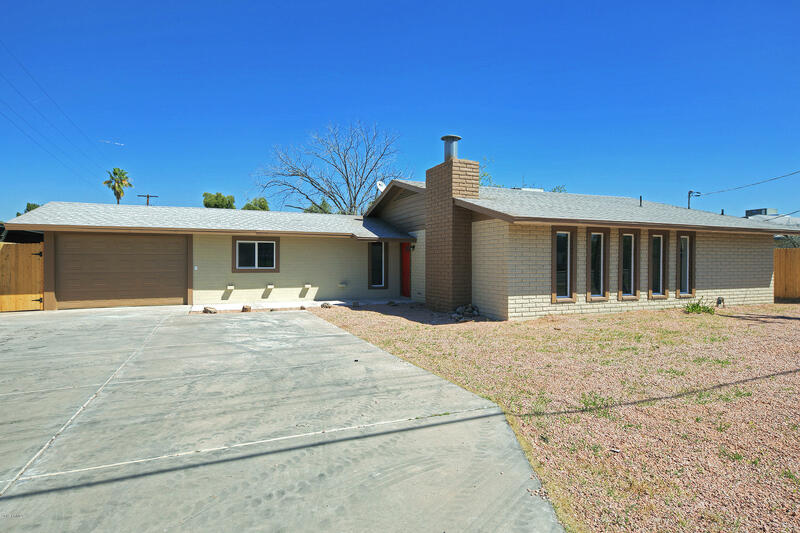 4 BEDROOM 2 BATH HOME WITH A NEW ROOF WITH WARRANTY .FRESH STUCCO AND PAINT INSIDE AND OUT AND NEW FANS .AND BONUS !!! A BIG TWO STORY BARN THAT FITS 2 TRUCKS HAS A WORK SHOP AREA AND AN UPSTAIRS LOFT. 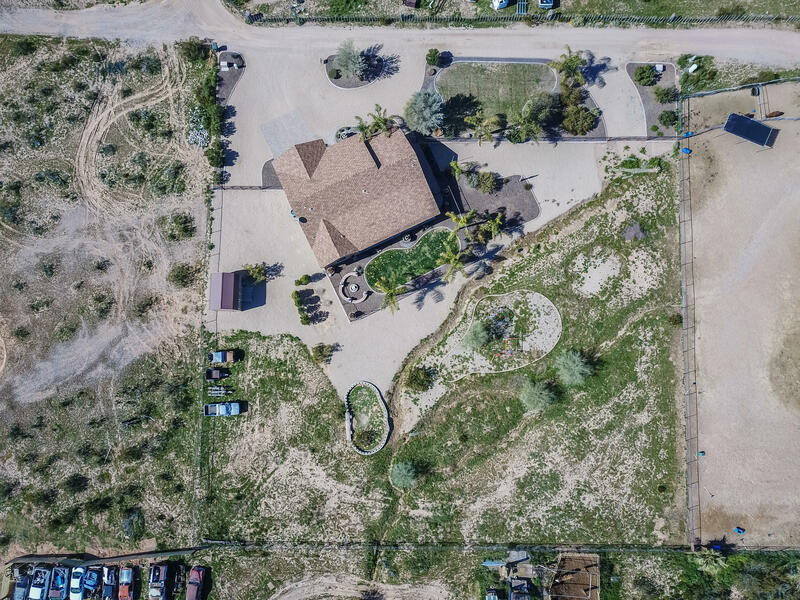 AND THIS PROPERTY ALSO HAS ITS OWN PRIVATE WELL WITH NEW PUMP AND IS SITTING ON NEARLY 5 ACRES,THAT COULD BE SUB DIVIDED INTO 2 ADDITIONAL PARCELS AND BUILD ON. 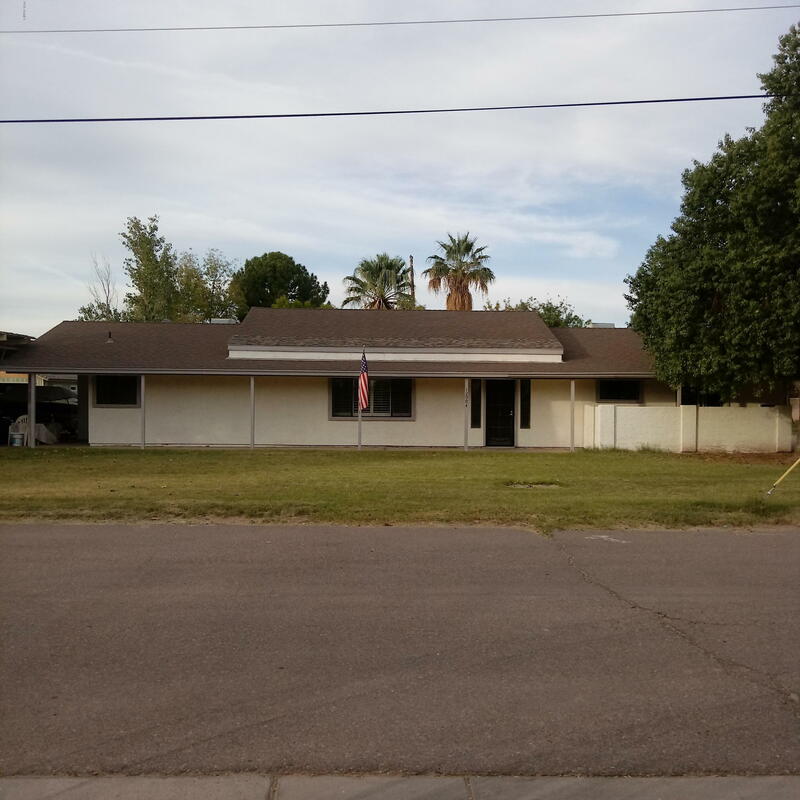 WITH ACCESS TO THE PROPERTY FROM 2 DI"
"Great value in Mesa! This single story home boasts 3 beds, 2 baths, & 2,200 sqft of living space on a HUGE 13,000 sqft lot! Enjoy the spacious living room with wood burning fireplace and the connected kitchen/dining space with recent upgrades. New laminate flooring t/0 with new carpet in the bedrooms. All secondary bedroom are good sized with large walk-in closets. The large master bedroom features an en-suite bathroom and walk-in closet as well. Both bathrooms underwent a recent remodel and are"